Imagine this: It’s a lazy Saturday after a very long week, and all you want to do is stay home in front of some good TV. You settle down on your couch, under some comfortable covers, and start to surf the channels for something good to watch. You finally find it and settle in for a cozy night at home filled with marathon TV watching. An hour or two in, your stomach begins to grumble. You mentally start going through what you’ve got in the fridge. Come to think of it, there’s not much to eat unless you’re going to cook something from scratch. Can you say joy kill?! Well, if this particular lazy Saturday were tomorrow and you happen to be in Dar es Salaam, then you would be in luck. Not only would you be able to easily order food to your doorstep but you’d also get a 20% discount for doing so. Yes, you heard me right. Tomorrow, Saturday December 13, hellofood and TV1 will be partnering in a promotion dubbed #StayAtHomeTZ to not only bring us some great TV viewing but also give us great discounts on food ordered online through hellofood Tanzania. Never heard of hellofood? Well, let me tell you a little more. Hellofood (also known as foodpanda in Asia and Europe) is a global online food delivery service that operates in over 40 countries across 4 continents. 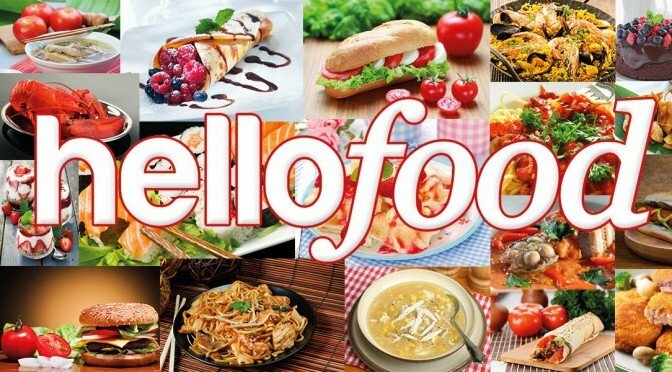 As of January 2014, hellofood has been operating in Tanzania too (for my readers elsewhere in East Africa, hellofood is also available in Kenya, Rwanda and Uganda). To order food through hellofood, all you’ve got to do is go to your local hellofood portal—www.hellofood.co.tz in the case of Tanzania—or download the app onto your smart phone (the same app works for all countries), enter your general location, and order food from a list of restaurants that deliver to your neighborhood. For a small fee (Tsh. 2,000 in the case of Dar es Salaam), your order will be brought to your doorstep within the specified time (my East African Twitter followers attest to this). You can then pay for your food with cash once it’s delivered (check your local hellofood website or the app for other payment options available in your country). It’s as simple as that! What Is the #StayAtHomeTz Promotion & How Does It Work? The #StayAtHomeTZ promotion will run not only tomorrow, on Saturday, December 13, but also on Sunday, December 21 and on the weekend after Christmas from Friday, December 26 to Sunday, December 28. This is how it’ll work: Watch TV1 on the specified date to get a secret voucher code to redeem a 20% discount on hellofood. 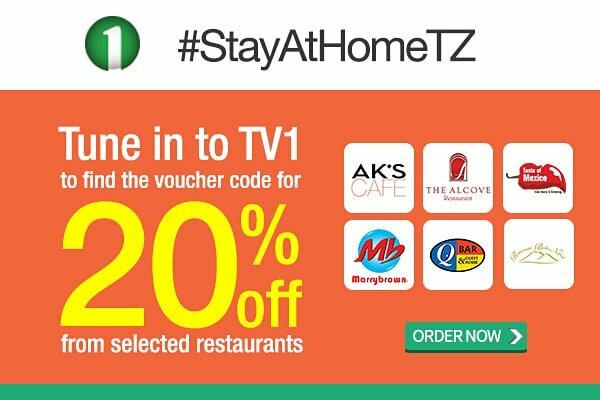 This discount can be used for food orders from select restaurants placed during the airing of featured programs on TV1. Participating restaurants tomorrow include The Alcove, Marrybrown, Taste of Mexico (yummy! ), AK’s Cafe, Q Bar, Ristorante Bella Napoli, and Spice Rack Lounge. The programs featured on TV1 tomorrow will be NCIS: Los Angeles at 8 p.m. and The Mask of Zorro at 9 p.m. To know what will be aired on subsequent dates of the promotion, simply visit stayathometz.hellofood.co.tz. Now, you know all you need to know. Will you be staying home tomorrow night, Tanzania? If so, please let me know how it goes by leaving me a comment below. P.S. Did you like this post? If so, please share it on Twitter and on other social networks. You can also subscribe to this blog to receive an alert whenever I publish a new post. This post was brought to you with the help of hellofood. Send me an email at [email protected] to know how you too can have a post about your business published on this blog. I love your blog. 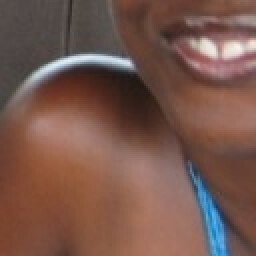 I’m from Kenya and I am a fan of hello food. Their response time is great. Welcome to ChickAboutTown! Thanks for the kudos on my blog and thanks for your feedback on hellofood Kenya’s response time. I was just checking out your blog, and I see you also wrote a post about hellofood. I am looking forward to reading it.